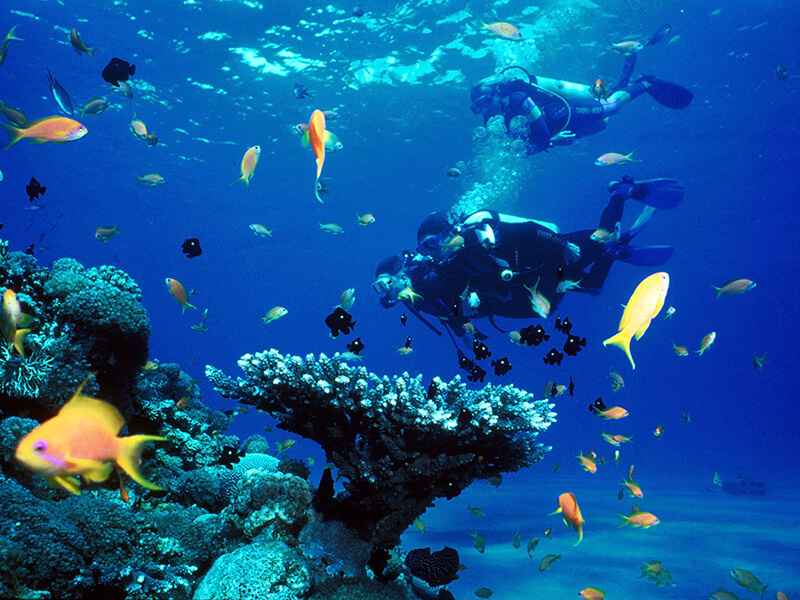 Pinnacle reef diving at White Pearl Resorts, Ponta Mamoli, in southern Mozambique, attracts divers of all degrees to sample intriguing underwater experiences. Both novice and professional divers will benefit enormously from the expert dive instructors at the White Pearl PADI dive centre – from reef dives to the Rescue Diver Course, they are on hand to show divers how to dive even better! Divers can explore the Indian Ocean to find limestone formations and fossils, wondrous corals and myriad colourful fish species. Turtles breed on the beaches from November to February and whales come to play in the bay from July to November. Dive boats launch straight from the beach at the resort and head for clear waters where all divers will be looked after. A referral dive can be done here, as can several PADI courses: Discover Scuba, Scuba Review, Open Water, Advance Open Water, Adventure Diver and Rescue Diver – something for every diver! Underwater photography is fantastic in this dive location – dives range from an easy eight metres open water dive to a more difficult 40metre dive.Some divers have seen Loggerhead and Leatherback Turtles drifting in the currents as well as Zambezi and Hammerhead Sharks in summer. ​So book a diving package to White Pearl Resorts, accommodation and meals included and enjoy what the spectacular White Pearl Resorts has to offer.